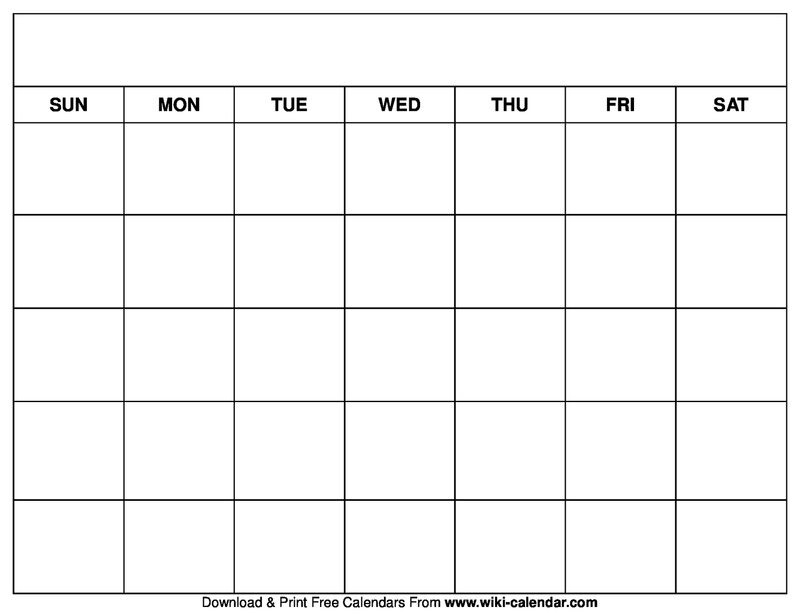 Planning with our practical and flexible printable blank calendar in PDF or JPG Image formats. And it’s absolutely free to print and download our blank calendars! Needless to say, for successful planning you have to work with only the best. As a result of this, the blank calendars are designed to meet your unique specifications. Here is the deal. You can choose to print a blank calendar right from your browser or better yet download it to your device. With just a single click on the print or download button, you are ready to go. Why use a blank calendar? Need a truly flexible blank calendar? If so, then you have stroke luck. You can instantly download a printable blank calendar right here. You can choose from a number of blank calendars. To start with, there are different formats of truly blank calendars. These calendars are designed without months or any numbers. They offer absolute freedom and flexibility to plan for different days and months of the year. But that is not all! 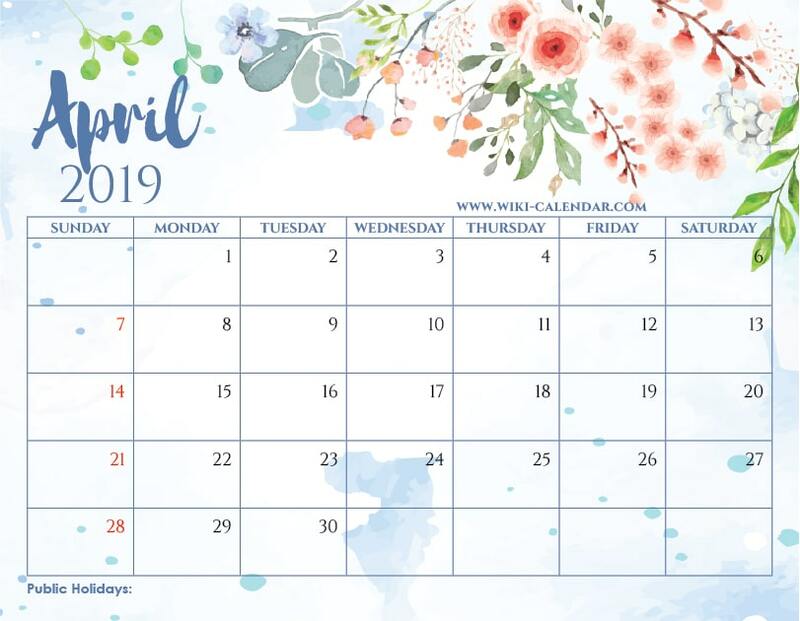 You can also go ahead and print or download a blank calendar with both days as well as the months of the year included. 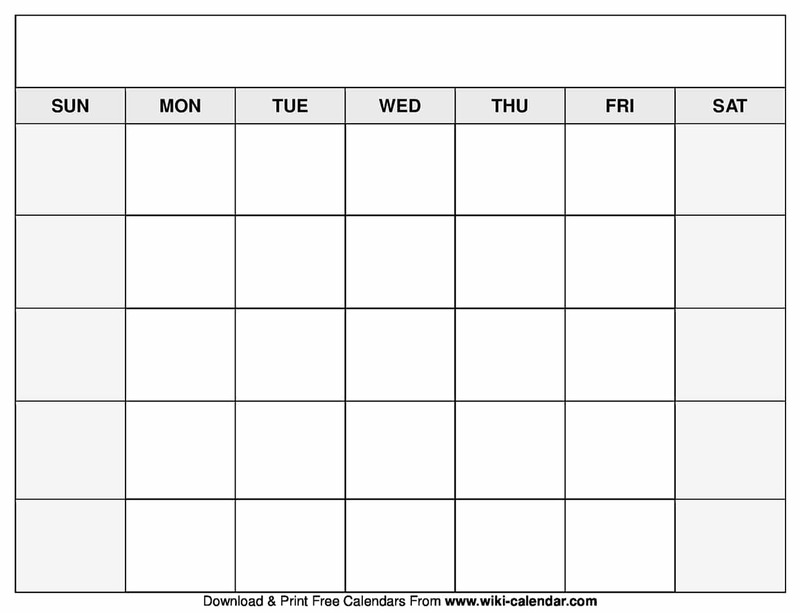 This format is great if you are looking for a quick way to add quick notes on a printed blank calendar. Truth is, a printable blank calendar makes it possible to plan for the days and months ahead without being distracted. It allows you to take into account both personal and other observances. You can also choose from year independent or year dependent blank calendars. The year independent blank calendars are designed without the year being included. Such a format is not limiting as it can be used across different years if you often maintain a regular routine. Forgetting an important event, or even worse, an important day of a loved one leaves us feeling guilty. But honestly, we all have been there. However, a blank calendar on your fridge or work-desk can be a constant reminder of what’s important to us. Are you sick and tired of not meeting your yearly goals or worse still missing important moments of your life? Then a blank calendar is simply a heaven-sent planner that you truly need. It allows you to fill in other events other than the bank holidays. 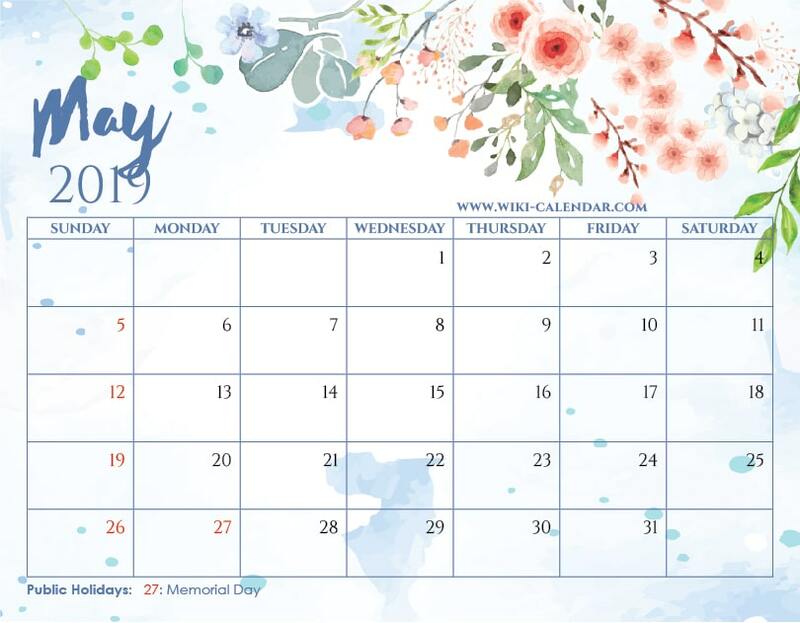 The best part is that you can easily print or download different blank calendar format that allows you to view all the important events at a glance. Do you need to print pre-formatted calendars in form of JPG image or PDF format? Well, we have customized calendars in form of JPG and PDF formats. Having customized calendars is not our only strength. In fact, our greatest strength lies in our ability to give you customized calendars at no cost. Simply put, we are for free! 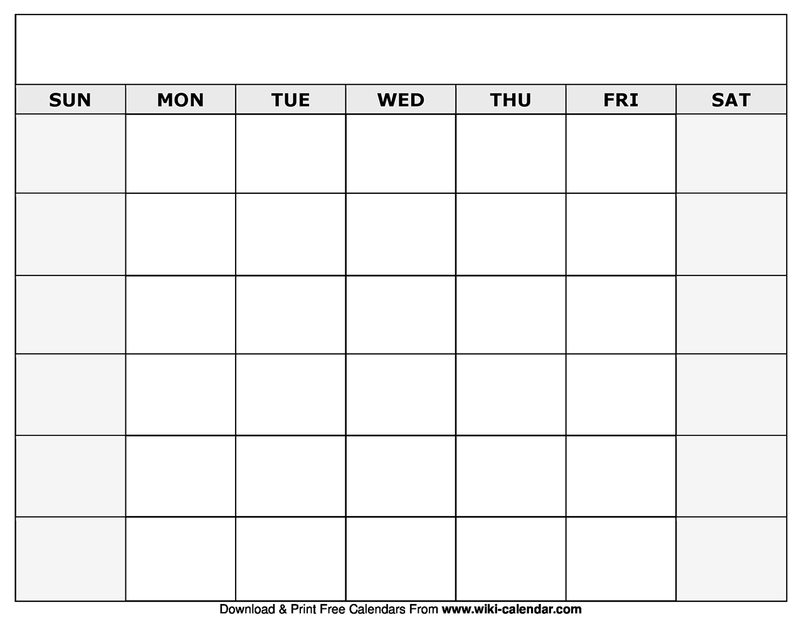 Thus, you can print as many blank calendars in different formats without incurring any cost. It sounds too good to be true, but it is true! Print or download as many blank calendars from our site for free. Curious about our blank calendar in form of JPG image and PDF formats? If that is the case then here is a glimpse of what we have. To begin with, you can print a blank calendar in either landscape or portrait orientation. The selection of different orientation simply relies on your taste. Secondly, once you have decided either to use a portrait or landscape orientation you can go ahead and select a more customized blank calendar. · Months arranged horizontally but have no weekdays and weekends. · A blank calendar on a single page. · Blank calendar with different months on different pages. As a result of this, you will choose a calendar that best fit your unique specification. 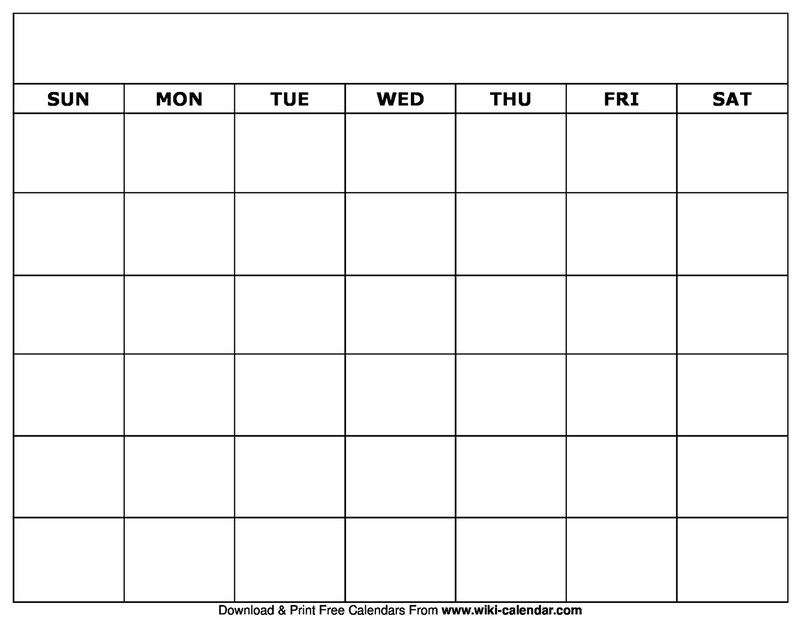 For instance, if you lead a busy lifestyle you might like a blank calendar with all the months on one page. Thus, you will be able to get a general feel of the entire year at a glance. A printable blank calendar is the best gift that you can give yourself or your loved ones. It simply makes each and every day of the month count. The good news is that it is just a click away. Print or download your copy of blank calendar now. 2nd year I’m using your calendar to note which days I have open for clients or for me. Thank you so much! Love it! Awesome! I love to hear that you guys are using them! Beautiful designs for free! Thank you so much, I just printed and I love how it looks on my desk!